Did you catch E. coli and suffer illness whilst on holiday? Certain germs such as E. coli 0157 can be one of the common causes of illnesses that holidaymakers suffer whilst abroad and commonly result in travellers making holiday illness claims against their tour operator when they return home. The infection ruin hundreds of holidays annually. Yet you should not suffer from E. coli food poisoning as long as what you eat and drink is prepared and handled correctly – infection from this holiday bug is entirely preventable provided hoteliers and tour operators observe good hygiene practices. What is E. Coli 0157? 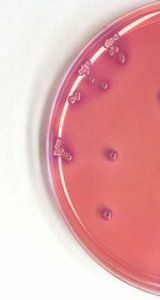 E. coli 0157 is the cause of the most virulent outbreaks of food poisoning. As few as 10 E. coli bacteria in an infected hamburger are enough to cause illness. The bacterium thrives in animals' lower intestines. Infection by the 0157 strain can be particularly dangerous as it can cause intestinal bleeding and kidney failure due to production of a toxin, Shiga. During illness outbreaks at hotels abroad humans may also play a direct part in spreading the disease, although E. coli will not survive long on the skin and the bug may be readily washed away. How will I know if I've got E. Coli food poisoning? The bacterial incubates from 1 to 3 days, with an acute phase continuing for about 1 week. Occasionally there are secondary conditions, like Haemolytic Uraemic Syndrome (HUS). This is where the red blood cells are damaged by toxins. What can hotels due to avoid illness outbreaks? Why does E. Coli occur on holiday? The outbreaks of E. coli we hear about often happen at foreign hotels, especially where mealtimes are pre-arranged, such as on all-inclusive package holidays. Often the same food might be eaten by everyone staying in the hotel, served at a buffet and inadequately heated or chilled. Infected food can spread the bacteria to other foodstuffs, which can quickly cause the sickness to multiply and spread. The natural warmth of the room provides perfect conditions for E. coli to multiply, and the infection can be spread by any infected human, bird or animal. The majority of foreign holidays in hot climates pose risks of E. coli. Among the regions that have prompted people to contact us include Egypt, Mexico and Cuba. Further information regarding traveller’s diarrhoea and E. coli can be found on our facts page. If I have caught E. coli on holiday can I claim compensation? Simpson Millar LLP leads the way in British package holiday illness law. 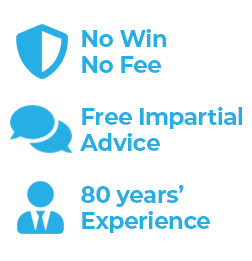 We have an experienced, friendly team of no-win no-fee lawyers who can help you make a claim if you have been ill whilst on a package holiday abroad. Our specialists have worked closely with leading tour companies and we are well-versed in successfully claiming compensation. Whatever country was the source of your illness, we can help you claim the compensation you deserve from your tour operator whether it’s First Choice, Thomson, Thomas Cook etc. For news of the hotels we're keeping an eye on for E. Coli food poisoning, check out our Holiday Hotel Watch blog and our special feature Hotel Watch.